• Split large email lists into smaller ones. • Merge smaller email lists into one large list. 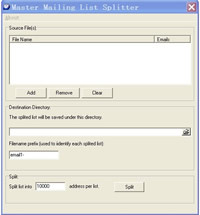 Master Mailing List Splitter, split huge email lists into smaller ones. 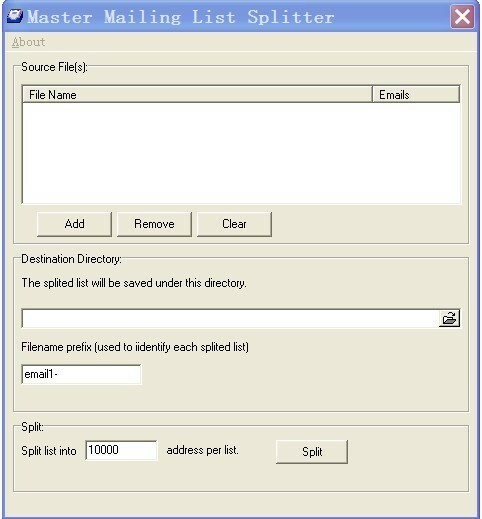 Master Mailing List Manager, merge smaller email lists into one big list.